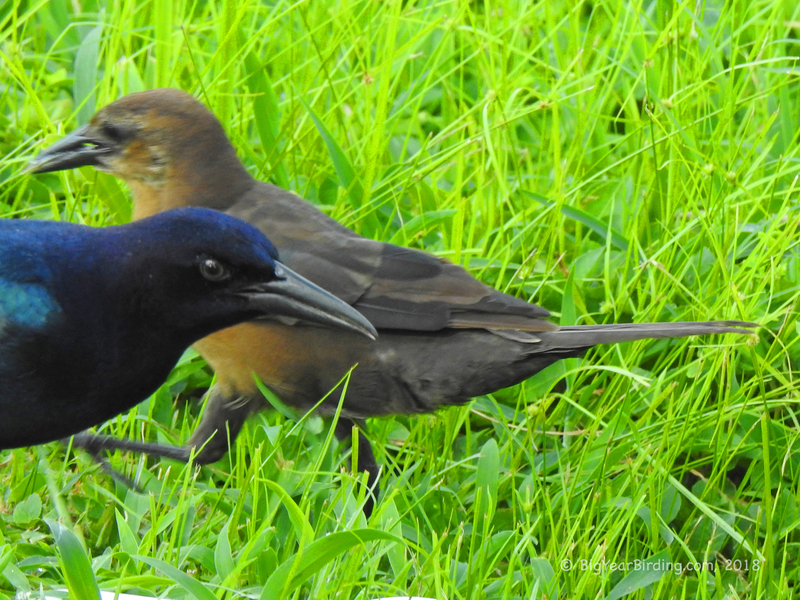 The boat-tailed grackle is a permanent resident on the coasts of the southeastern United States. It is found in coastal saltwater marshes, and, in Florida, also on inland waters. The nest is a well-concealed cup in trees or shrubs near water; three to five eggs are laid.